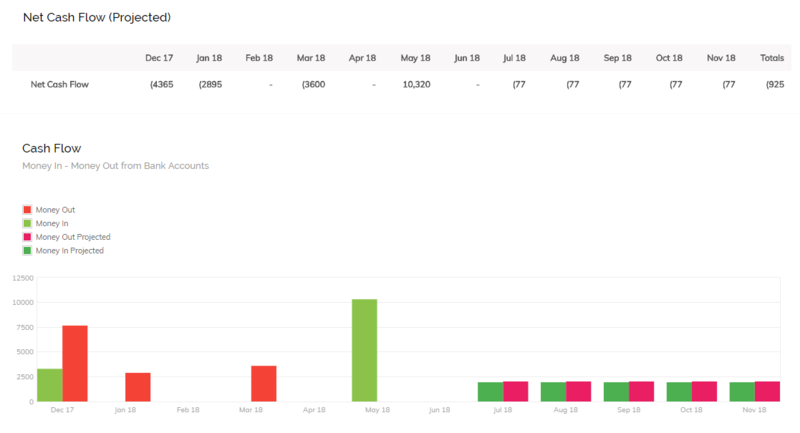 This is useful for seeing how much profit your business is making for any given date range. 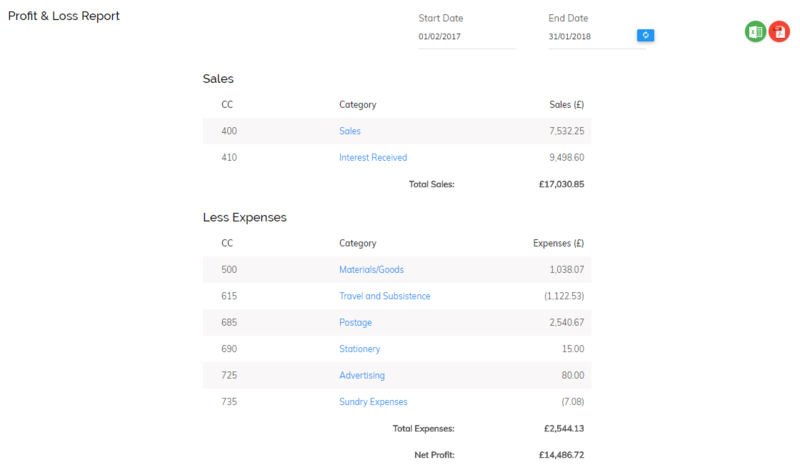 Profit and loss reports can help you make business decisions and will highlight any areas of spending that could be cut back. This report shows a snapshot of your financial position for any given point in time. Here you can see your assets, liabilities and remaining equity in the business. The trial balance report displays your category balances for any given date range. This will be useful for your accountants, as it will help them complete your end of year accounts and tax return. This report provides a detailed overview of the money coming in and out of your accounts. 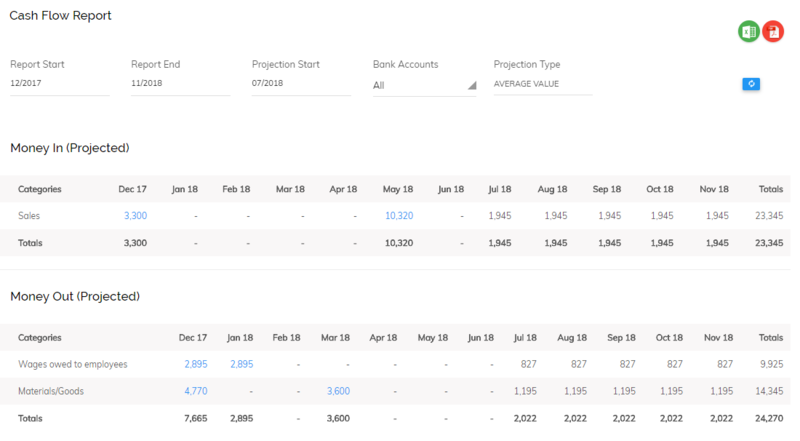 If you are a Pandle Pro user you will see a cash flow projection report, enabling you to set future cash flow goals and view trends in your cash flow, leading to better, more informed business decisions. This report gives a breakdown of the amounts customers owe to you. This can be broken down by invoice and amount of time overdue. To learn more about our receivables report click here. 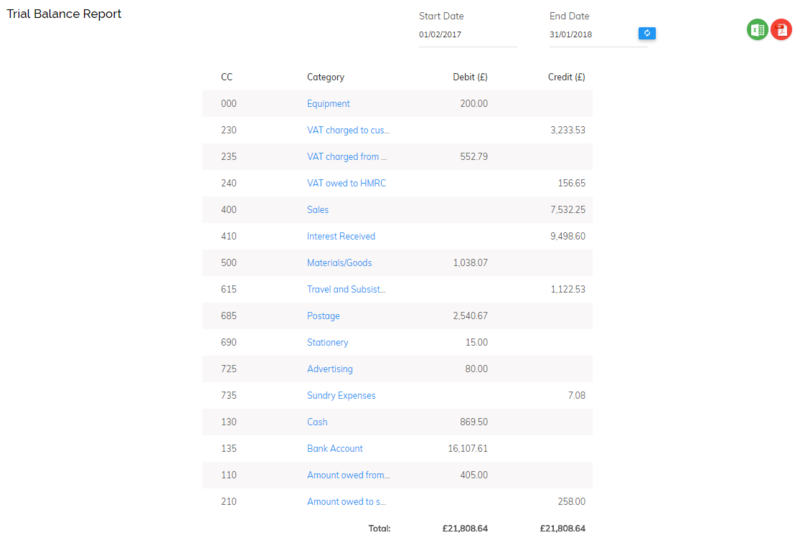 The payables report is similar to receivables but instead displays the amounts you owe to your suppliers. To learn more about our payables report click here. 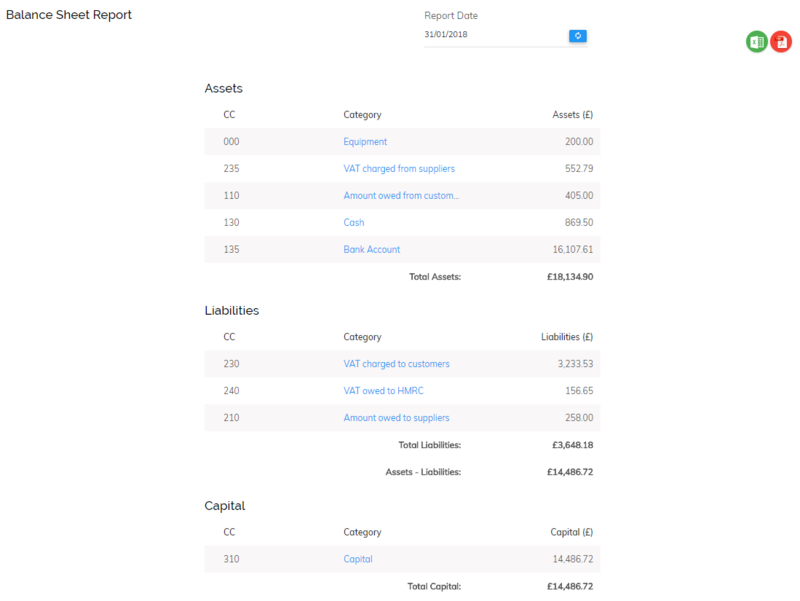 This quarterly report will calculate the amount of VAT owed to HMRC, or owed to you from HMRC. 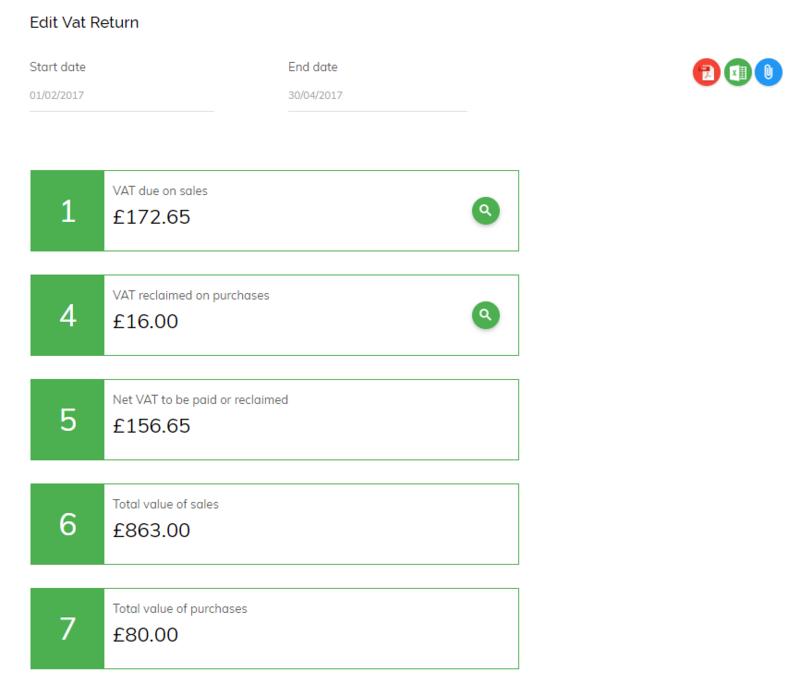 From this report you will also be able to submit your VAT returns directly from Pandle. This quarterly report will calculate your EC sales list from all the invoices you have raised for your zero-rated EU customers. From this report you can also submit your EC sales list directly to HMRC.